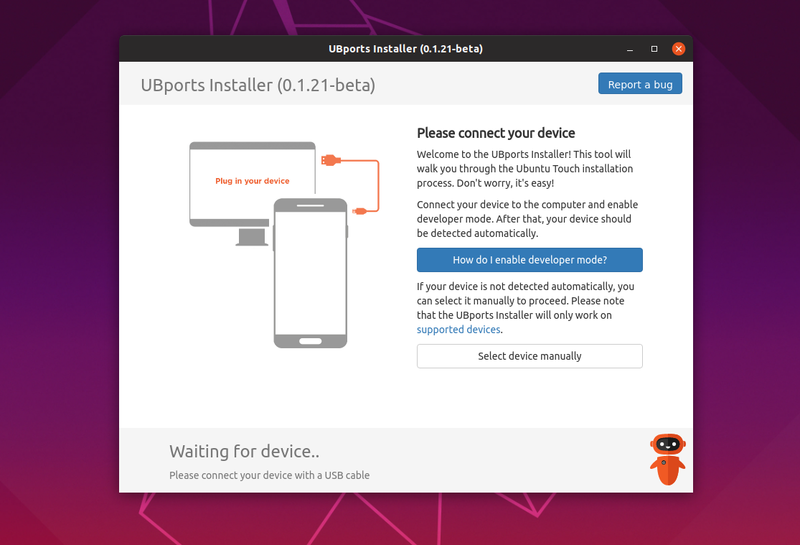 UBports Installer for Ubuntu Touch is just too good! 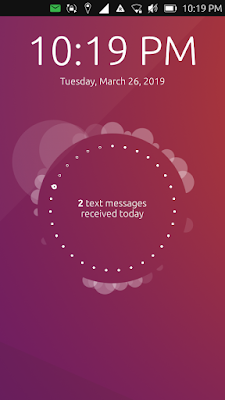 Even as someone who bought into the Ubuntu Touch hype very early, I was not expecting much from UBports to be honest. 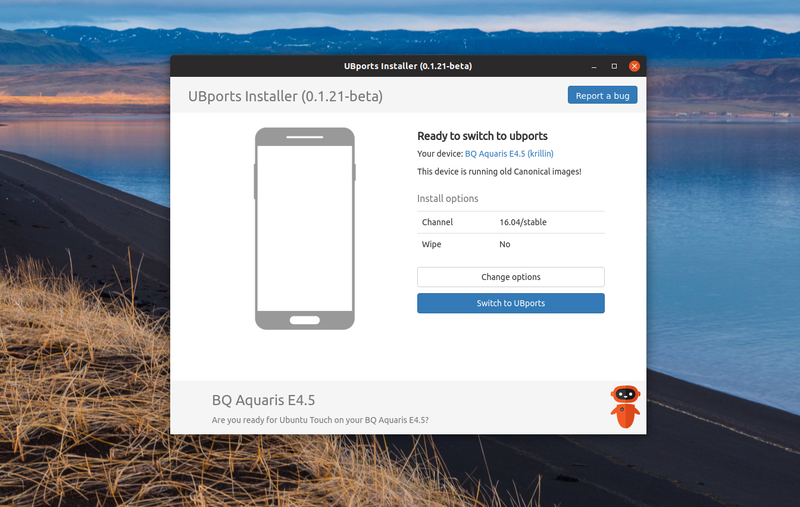 But to my pleasent surprise, UBports Installer turned my 4 year old BQ Aquaris E4.5 Ubuntu Edition hardware into a slick, clean, and usable phone again. As many of you know already, Ubuntu Touch was Canonical's failed attempt to deliver a competent mobile operating system based on its desktop version. The first Ubuntu Touch installed smartphone was released in 2015 by BQ, a Spanish smartphone manufacturer. And in April 2016, the world's first Ubuntu Touch based tablet, the BQ Aquaris M10 Ubuntu Edition, was released. Though initial response was quite promising, Ubuntu Touch failed to make a significant enough splash in the smartphone space. In fact, Ubuntu Touch was not alone, many other mobile OS projects like Firefox OS or even Samsung owned Tizen OS for that matter failed to capture a sizable market-share from Android/iOS duopoly. To the disappointment of Ubuntu enthusiasts, Mark Shuttleworth announced the termination of Ubuntu Touch development in April, 2017. 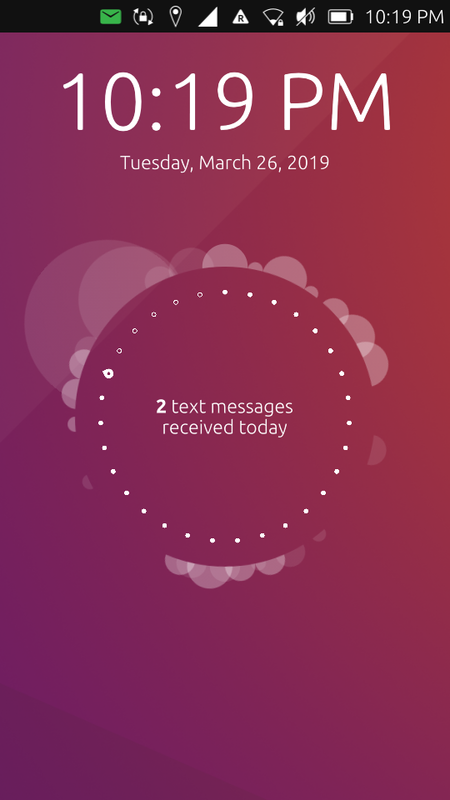 For all its inadequacies, Ubuntu Touch was one unique OS. It looked and felt different from most other mobile operating systems. And Ubuntu Touch enthusiasts was not ready to give up on it so easily. Enter UBports. 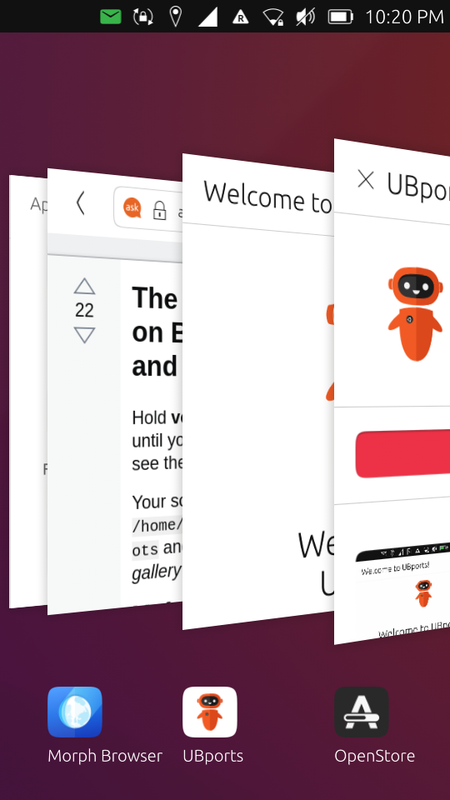 UBports turned Ubuntu Touch into a community-driven project. Passionate people from around the world now contribute to the development of Ubuntu Touch. 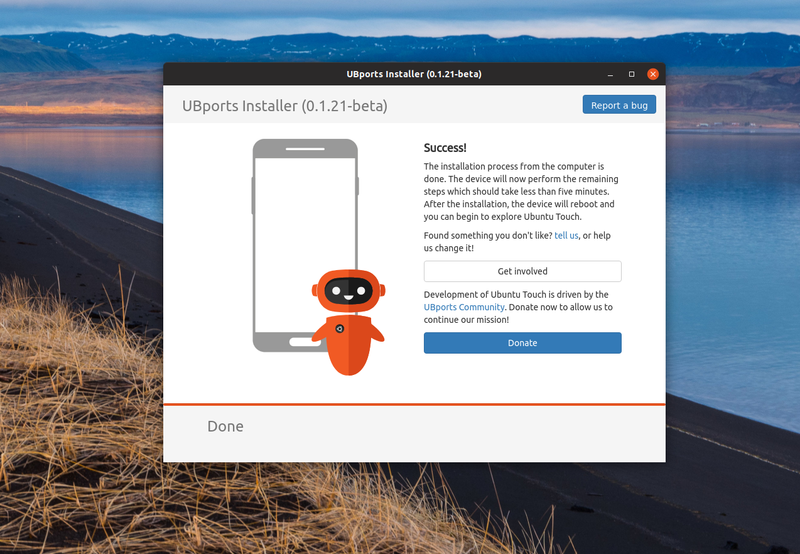 In August 2018, UBPorts released its OTA-4, upgrading the Ubuntu Touch's base from the Canonical's starting Ubuntu 15.04 (Vivid Vervet) to the nearest, current long-term support version Ubuntu 16.04 LTS. They actively test the OS on a number of legacy smartphone hardware and help people install Ubuntu Touch on their smartphones using an incredibly capable, cross-platform, installer. Though I knew about UBports project before, I was never motivated enough to try the new OS on my Aquaris E4.5, until yesterday. 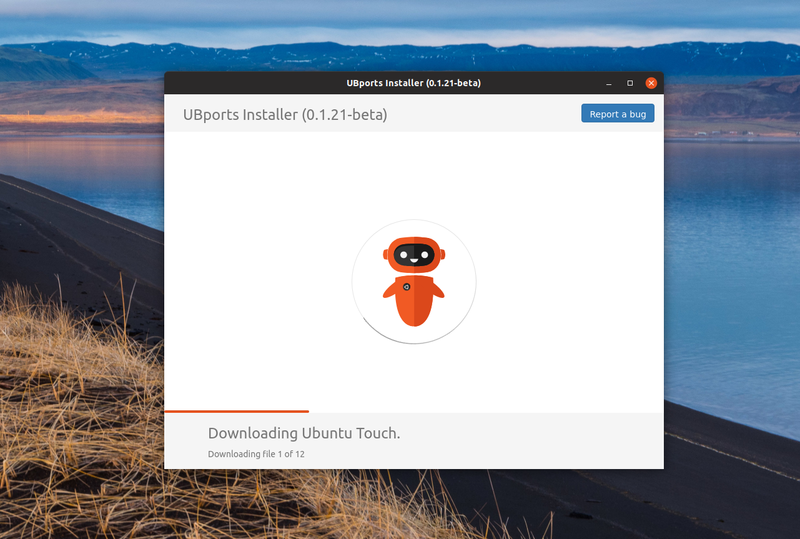 By sheer stroke of luck, I stumbled upon UBports Installer in Ubuntu Software Center. I was curious to find out if it really worked as it claimed on the page. I fired up the app on my Ubuntu 19.04 and plugged in my Aquaris E4.5. Voila! the installer detected my phone in a jiffy. Since there wasn't much data on my BQ, I proceeded with Ubuntu Touch installation. The instructions were pretty straight forward and it took probably 15 minutes to download, restart, and install, 16.04 LTS based Ubuntu Touch on my 4 year old hardware. In my experience, even flashing an Android was never this easy! My Ubuntu phone is usable again without all the unnecessary bloat that made it clunky. 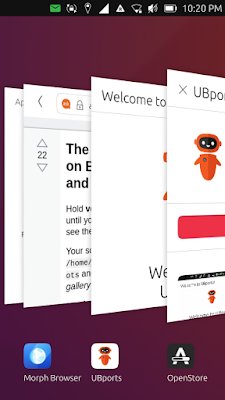 This post is a tribute to the UBports community for the amazing work they've been doing with Ubuntu Touch. Here's also a list of smartphone hardware that can run Ubuntu Touch.